Search Engine Optimization (SEO) is a necessary component of any successful business website. The internet has become the primary resource for information on virtually everything, from goods and services to relationships. To meet the needs of customers searching for solutions, businesses need to ensure their website content is easily visible and what better way than SEO to achieve this? For readers new to SEO, getting started can be a bit of a mystery, like planning a trip in uncharted territory. How do you know which keywords to use in optimization? Can you implement an effective SEO campaign yourself, or will you require outside assistance? TopRank Online Marketing has established 5 SEO Essentials for those who need optimization but don’t know where to begin. Are companies engaging in social media? Are they monitoring their brand? What’s a social media press release? These were a few of the topics covered in Marketingsherpa’s recent “Engaging Bloggers, Journalists and Customers” webinar featuring Todd Defren from SHIFT Communications and Marketingsherpa’s Sergio Balegno discussing new ways journalists are using social media. MarketingSherpa surveyed 1800 people from both small and large, B2B and B2C companies. In their findings, three out of four companies surveyed feel that social media is changing the way companies communicate. 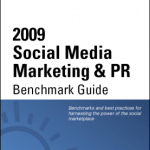 Details of this research can be found in the new Social Media Marketing and PR: Benchmarks and Best Practices report. 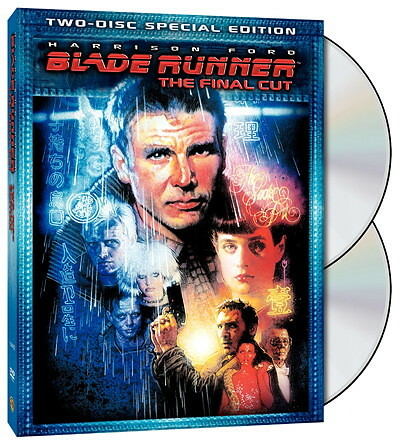 Harrison Ford may have been a robot. SEO copywriters are not. Copywriting, and all of marketing really, represent that beautiful intersection between business and creativity. Those of us lucky enough to find our way into this niche find that, amazingly, we can actually make a living being creative. Granted, the work we create may not always grab the attention of our hipster friends, but it will put food on our clients’ tables (most important), put food on our own tables (second most important), and put food on our aforementioned hipster friends’ tables (if they’re lucky). Perhaps the biggest mistake we can make as copywriters when we find ourselves writing specifically for a search engine optimization initiative is becoming untrue to our own creative personalities. SES New York did pretty well considering many conferences are feeling the effects of business budget cuts. 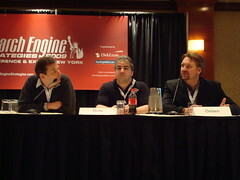 Publisher and VP Matt McGown stated that over 5,000 people attended 2009 SES New York. 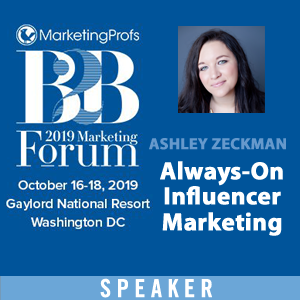 Social media often folds well into search marketing and blogging represents a great example of the intersection between creating optimized content and a platform for enabling customers to be social with companies. Some businesses have started blogs only to see them lose steam and die. Others are fearful of starting blogs in case customers make negative comments. My presentation for the Business Blogging session addresses both the common reasons business blogs fail and offers several tips for running a successful corporate blog, long term. Thinking about social media? Or are you waist deep and need some help? 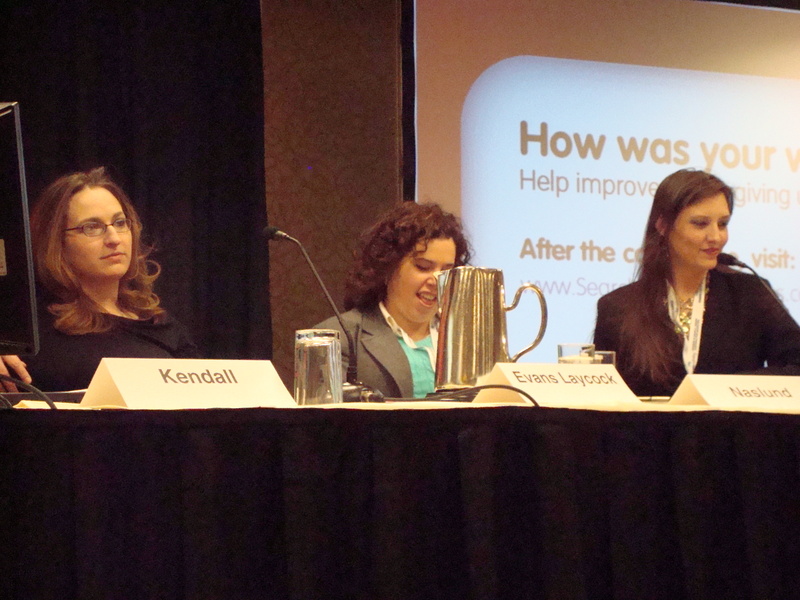 A session today at SES NY highlights different approaches to social media, its purpose and how and why you should get involved. Li Evans, of Key Relevance, hammers home the need for social media strategy within her presentation. Social Media – done for the sole purpose of traffic or links – probably isn’t social media you should be doing. Social media is not about your marketing message, it’s about what the customer has to say good or bad. It’s about them talking about you. Whatever you do socially, remember that the end user has control of your message and sometimes your brand. Li goes on to explain that these conversations are happening any way, online and offline, so would you rather be part of it or continue to ignore it? In the last session of the day, attendees were rewarded with 8 awesome tips to boost Search Engine Marketing (SEM) Results in a sponsored session “Wpromote Workshop: 8 Things You Aren’t Doing That Will Boost Your SEM Results”. 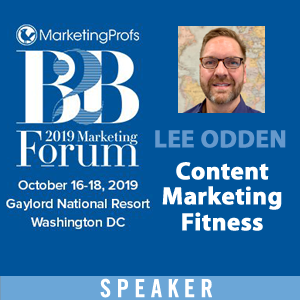 Using real-life examples, this session promises to teach attendees the secrets top online marketers are using to beat the competition and squeeze the greatest results possible from their SEM efforts. 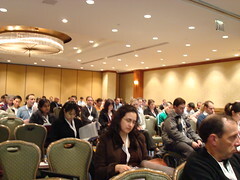 Topics include: PPC, SEO, landing page optimization and social media. 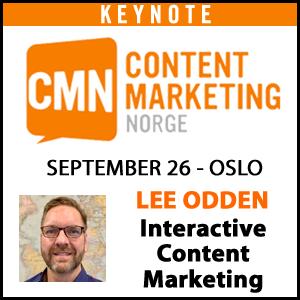 Speakers are Michael Mothner, Founder & CEO and Michael Stone, Vice President, Sales & Strategy – both from Wpromote. Some tips you may know and some you may not, but there is definitely something for everyone. How to move your blog to WordPress. We’ve talked about the benefits of owning your own blog, but what if you’ve already got a blog someplace else and want to move it to your own, hosted, WordPress blog? You can do that. WordPress offers a number of easy import options for most major free or paid blogging platforms out there. This makes it easy to move away from other software to your own, hosted, WordPress blog. Each one of these options can be access by logging into your hosted WordPress blog and visiting the Tools -> Import section. From there, WordPress will give specific step-by-step instructions on what to do. Day 2 at SES NY kicks off with a lesson in Social Media for t he little guy. The purpose of the session is to find out how small companies with small budgets can freely tap the world of social media to improve business and increase sales. Take the ‘marketing’ out of Social Media Marketing because it isn’t about marketing, but rather about conversations. In addition, there is a reason social media is called the bleeding edge, because it can hurt especially if approached in the wrong way. Remember, when you are developing marketing plans, that the goal is not to integrate the latest big thing but rather to integrate what works. As a small guy, the people on the leading edge are other marketers and not likely to be your prospect. There’s nothing wrong with leveraging pre-established social tools. First things first: Please take this quick poll about integrating SEO and social media marketing. Do your online marketing efforts include SEO and social media working together? 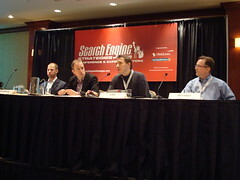 This week Thursday 3/26 I will be presenting on 3 panels during the Search Engine Strategies Conference in New York March as well as an iBreakfast meeting on Wednesday 3/25. If you’re attending SES New York, please be sure to stop by and say hello. It’s great to meet Online Marketing Blog readers in person. Search Meets Social Media (Wednesday 7:30am – 10:00am) Located in New York City, CresaPartners Executive Center: 100 Park Ave. 40 – 41st St. (24th Fl.) The Silicon Alley Breakfast Club (iBreakfast) is a long time networking event in Manhattan and this particular meeting is all about how Social Media is powering businesses forward.